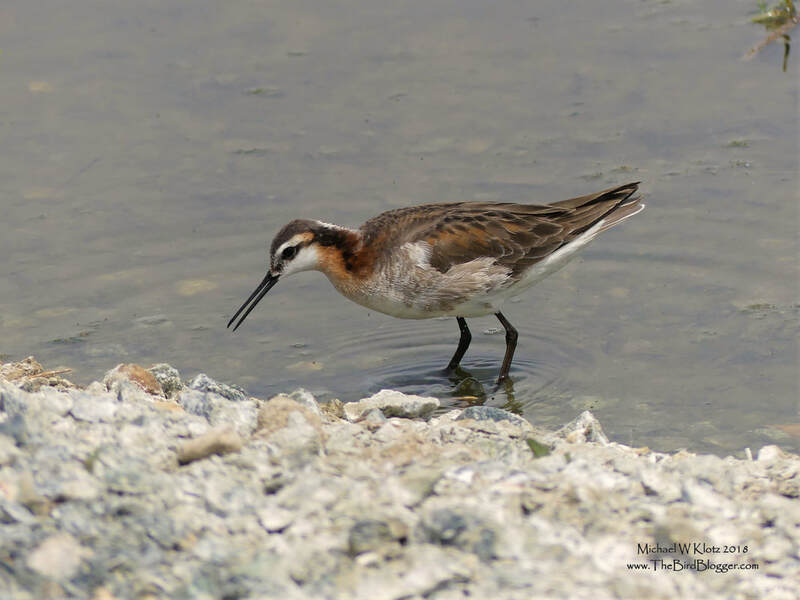 During a trip to Kelowna this year, I stopped in a Robert Lake to put Wilson's phalarope on the year list. As it turns out, the lake was overfull. It was flooding right up and into a field that is usually high an dry by that time of the year but it would appear that the lake was being used as a storage tank and the overflow pumped out. Hopefully this doesn't change the composition of the lake as it is a closed or Endorheic Lake. That is a fancy name for a lake with no outlet. This male Phalarope was picking away at the waters edge hunting successfully for damselfly larvae.